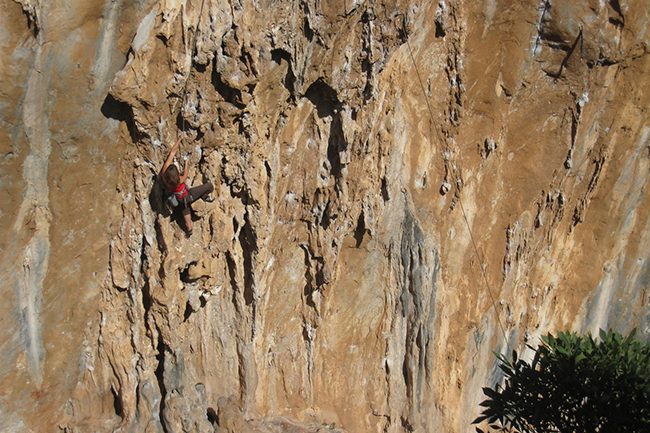 Avid climber Riki Lawson is the co-creator of Climb ZA, the country’s biggest online climbing hub. CTE.com chats to her about climbing, learning to fall – and getting her toddler on the rock face. So how did you get started in the rock-climbing business? I’ve been climbing for about 16 years. In 1996 I met my husband, Justin, while we were both working as a river guides for Felix Unite River Adventures. Justin was also a climber and mountain guide and he took me to Silvermine to show me how to abseil and I remember refusing to go over the edge. The height and fear of falling scared the daylights out of me (I did eventually do the abseil). The area is called Wolfkop and is a training ground for trad [traditional] climbing – part of the thing that freaked me out so much is that there are no bolts there, which means that Justin placed trad gear in the rock as anchors for the rope which I was about to abseil on (these get removed afterwards). I may have felt more comfortable on bolts! Justin was determined not to let me off so easily and continued to take me to climbing spots around Cape Town (even if only to have someone belay him, which I was happy to do). I enjoyed the actual climbing, just not so much the exposure. Once my climbing improved and I learnt to trust in the equipment, I started to have fun. What do you mean ‘trust the equipment’? The equipment used in climbing is not there to help you get up the climb, but rather to catch you if you fall and for getting down. 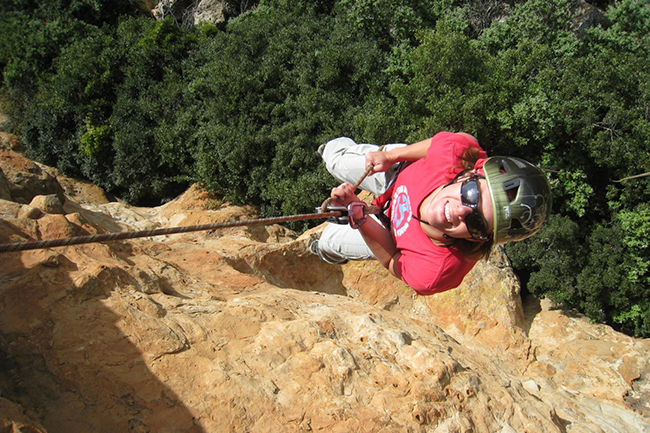 The main safety gear for sport climbing consists of a rope, about 15 quickdraws (two carabiners on either end of a sling), a harness for each climber and a belay device. There are two main forms of rock climbing: trad climbing, whereby removable gear such as cams and nuts are placed into cracks/ledges in the rock face, and sport climbing, where permanent bolts are drilled into the rock. Table Mountain is a good example of a trad area. No bolts are allowed so climbers must place their own gear in the rock. The second climber removes the gear as they go. The crags at Silvermine are all ‘sport crags’. This means that the routes there are predetermined by the line of bolts that have been preplaced. All the climber needs to do is clip his rope into the bolt to stay safe. You could say that sport climbing is the ‘fast food’ of climbing. Two of my favourite things are climbing and outdoor photography – so going climbing in cool places and getting great photos forms a large part of the appeal for me. Yes! In 2003, Justin and I started Climb ZA, a website about climbing in South Africa. 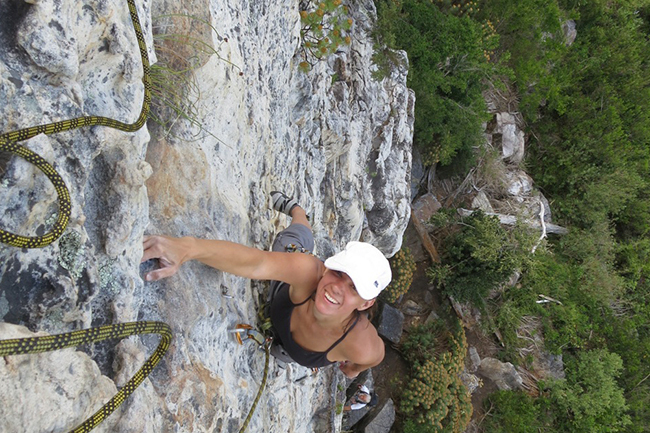 Over the past 11 years, it has grown into the go-to website about local rock climbing. We have the largest online database of climbing routes, an active forum, a photo gallery and it runs much like an online magazine. We receive in excess of 2 000 visitors per day. What is it about the sport that attracts so many people? The strength and fitness that you get from climbing is unlike other sports. Climbing gives you an excellent all-round fitness and is challenging both physically and mentally. Unlike kayaking or even mountain biking, climbing is actually very safe and is somewhat predictable. You’re able to try the same problem over and over again until you get it right (failing might result in a fall, however the falling is safe and is something to which you become accustomed.) There is a sense of satisfaction and achievement of having climbed something that is at the limit of your capabilities. Apparently you’ve even roped your kid into the sport? Sure! 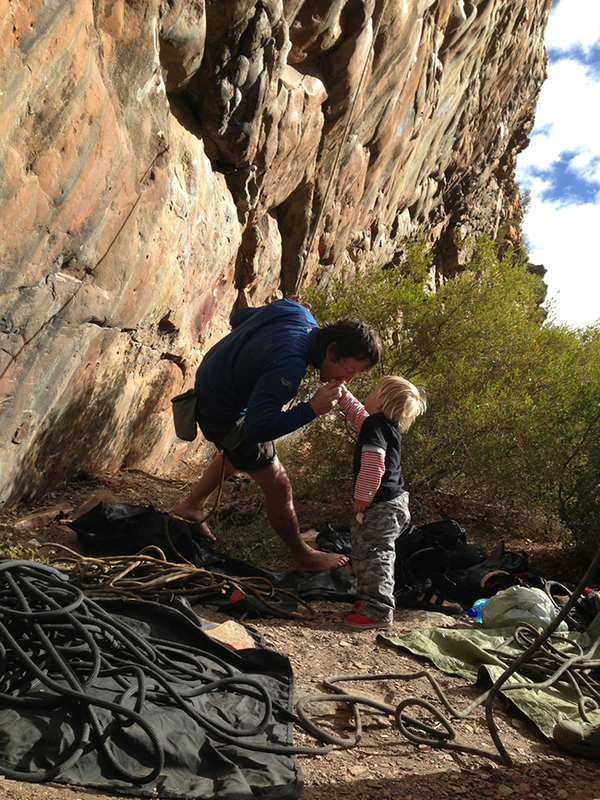 Our son is now three years old and there are many crags that are safe to take a child his age along with. It’s like taking him to the beach, only we get a bit more exercise. He gets to play in the sand, collect rocks and explore. We even have a small harness for him and he enjoys a bit of climbing, but mostly he loves swinging from the rope. 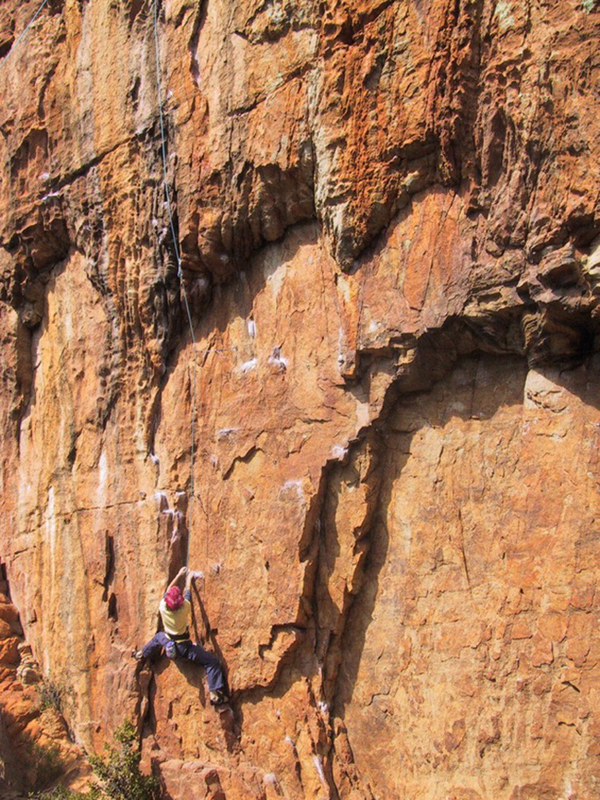 Tell us a bit about the climbing spots around South Africa. SA offers every sort of climbing. Our rock is of excellent quality. To give an example, sandstone is normally thought of as being crumbly and porous, but in the Western Cape our quartzitic sandstone is incredibly solid. Silvermine in Cape Town is easily accessible and the setting is beautiful. Despite being most popular for bouldering, Rocklands sport climbing is fantastic and even some less popular places like Kleinmond are fun. The Cederberg also has incredible climbing. Oh yes, from the Dolomites in Italy and the Peak District in the UK to Red River Gorge in Kentucky and Krabi in Thailand … we’ve really been all over the place. There’s just so much to explore. What other forms of climbing do you do and what do you love about it? 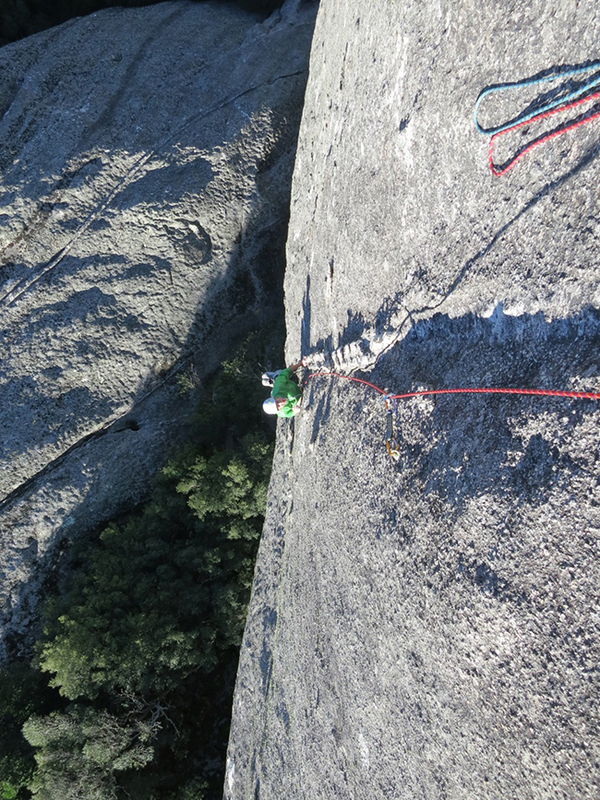 I mostly prefer single pitch sport climbing, because of the ease and accessibility. Most sport crags are a five to 45 minute walk-in. The routes are bolted (ie the protection is in place already) and each route is given a grade of difficulty. You can test yourself on harder routes and fall off without hesitation. I also enjoy easy multi-pitch routes. I enjoy being in my climbing comfort zone and watching everything from a high perch. Where can people go to learn about climbing? Climbing gyms or walls are a great place to build strength and also to meet other climbers. But the technique of climbing on real rock is quite different from plastic. I find plastic quite hard on my fingers. 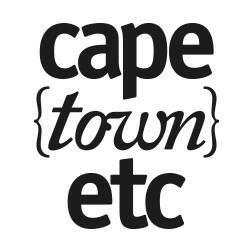 We’ve heard good things about City Rock in Obs – are there any other places you can recommend? If you want to climb outdoors, then going out with a qualified guide is the best way to start. You’ll get the full experience climbing while being 100% safe and you will also learn the correct techniques first time, thus avoiding bad habits. The guide is there to show you how the equipment works, how to belay and which climbs are suited to your ability. The most common mistake that beginner climbers make is over-relying on their arms and forgetting about using their feet. 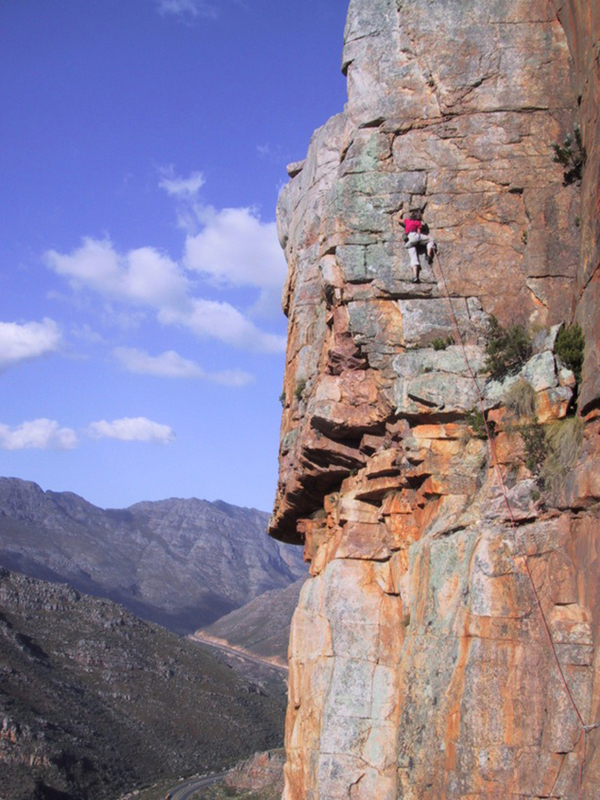 There are many excellent crags with routes for beginners around Cape Town (Silvermine Lower and Lakeside Pinnacle) and in Montagu (Legoland and Bold & Beautiful). 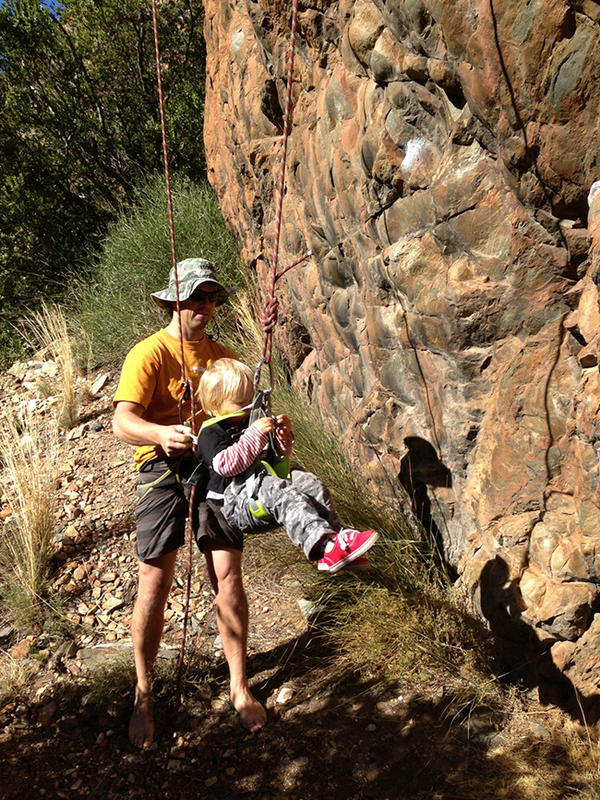 Justin is an accredited and experienced guide offering climbing courses and day tours in Montagu. Via Climb ZA, we also offer guiding services through out Southern Africa. Check out www.montaguclimbing.com and www.climbing.co.za.